Central Carolina Technical College, Sumter: Two years = lifetime rewards. For students seeking a faster route to career opportunities, CCTC offers two-year degree programs across diverse fields, from education to accounting to nursing and is at the core of industrial technology and workforce training and certification. Morris College: Proud traditions yield impressive personal development. At this historically black, coeducational liberal arts college, personal growth is part of a rich, meaningful educational experience. Shaw Air Force Base campuses: Branching out with quality. Branches of four institutions of higher education, including Troy State University and Embry-Riddle Aeronautical University, expand opportunities for military employees and others with undergraduate and graduate programs. 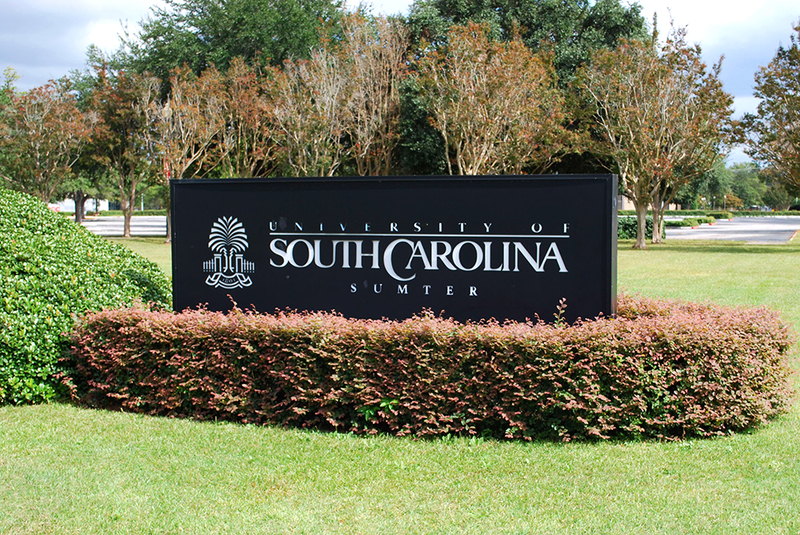 University of South Carolina, Sumter: More to choose, more to cheer. USC-Sumter rolls out an array of strategic paths for students who may want to start their academic or professional careers with an Associate Degree in Arts or Science, or who may want to earn a four-year Baccalaureate degree right on the Sumter campus in one of USC-Sumter’s four-year programs which include a B.S. in Business Administration and B.A.s in Elementary and Early Childhood Education, Liberal Studies and Organizational Leadership. In addition to graduates’ superb career prospects, the recently introduced Fire Ant athletics have given USC-Sumter students even more to cheer about. University of South Carolina, Columbia: Nationally recognized, internationally oriented. Just 44 miles from Sumter, the state system’s flagship institution offers more than 350 programs of study at a school recognized with the very highest Carnegie research rating. SouthCarolina routinely claims top spots in national rankings like those of U.S. News and World Report, which has rated South Carolina’s undergraduate program in International Business #1 for the past 13 years, and the graduate International Business program either #1 or #2 for the past two decades. High achievers gravitate to USC; in 2012, the SC Honors College was ranked #1 among 50 public honors colleges. Vibrant campus life includes excitement on the athletic fields, where the South Carolina Gamecocks have racked up nine national championships and produced multiple Olympic athletes.